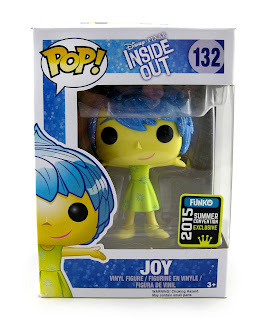 Dan the Pixar Fan: Inside Out: Convention Exclusive Funko "POP!" 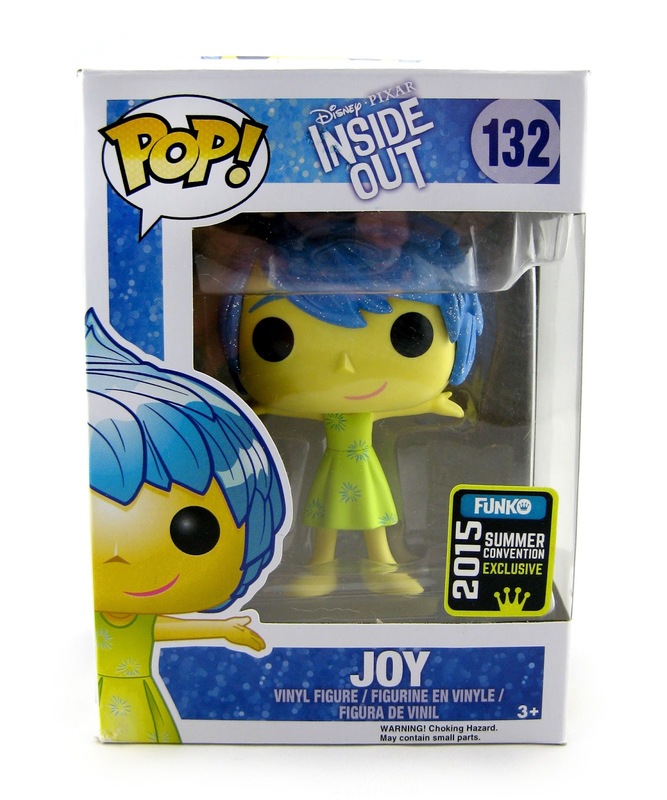 Last month during the San Diego Comic-Con (SDCC), Funko released three exclusive Inside Out "POP!" variants of Sadness, Joy and Anger. While Joy and Sadness here may look exactly the same as the standard releases upon first glance (and they are almost exactly the same), they actually have the addition of glitter/sparkles in their hair! 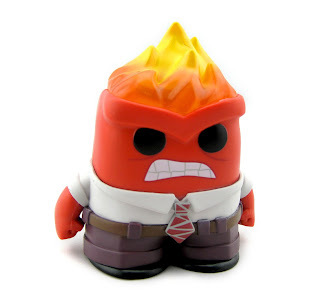 Anger, of course, is notably different with his new snarling expression and flaming head. 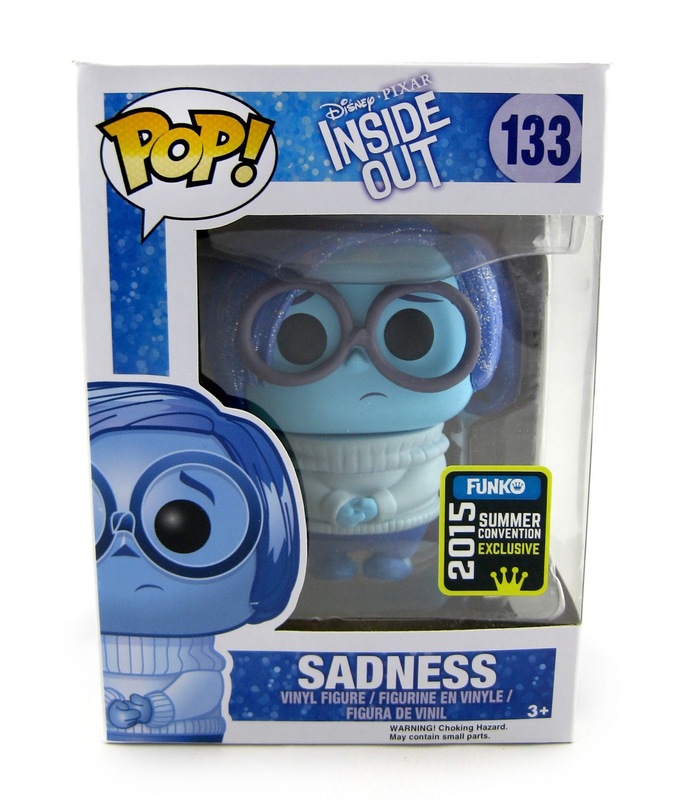 Sparkle Joy and Sadness are"Summer Convention Exclusives", which means they weren't only just available at the SDCC. 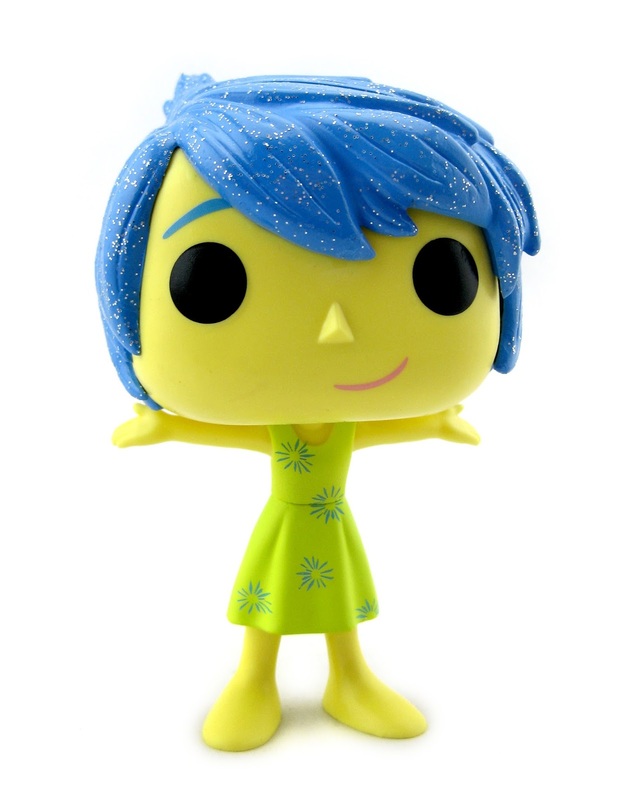 For a very brief time, they were also released in stores and online at selected retailers. Sadness was exclusive to Hot Topic and Joy was only at Barnes and Noble. 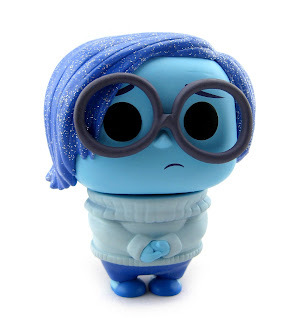 I was lucky to catch them both before they sold out! They are "limited", but it's unknown how many pieces were actually produced. Anger on the other hand was only sold at the SDCC and is a limited edition of just 1,008 pieces made. He was much harder (and more expensive) to track down. 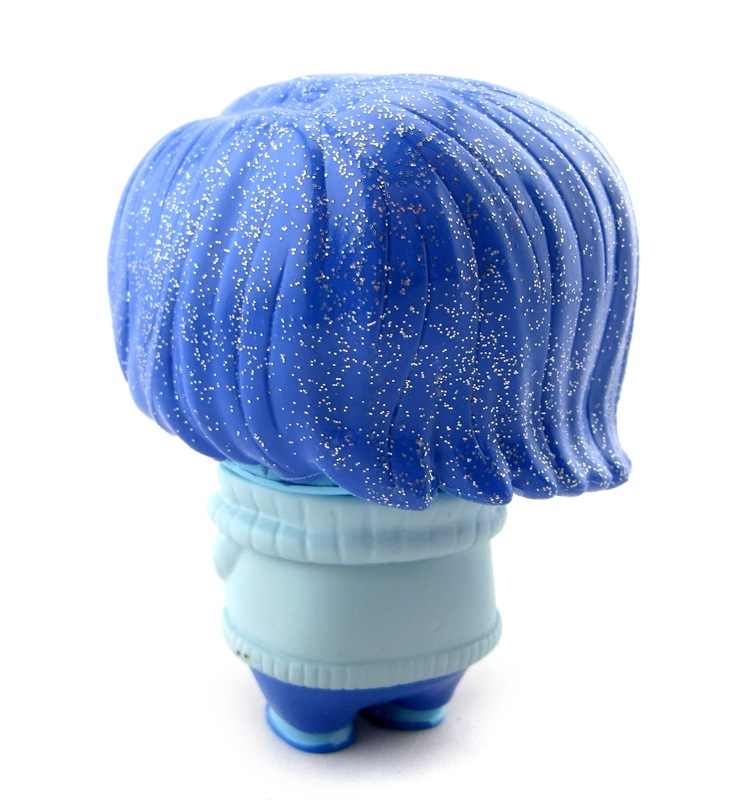 Check out some detailed shots below! 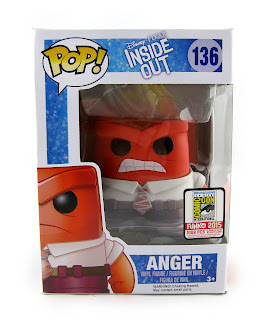 Anger is definitely my favorite of the three since he's so much different than the standard wide release of the character. 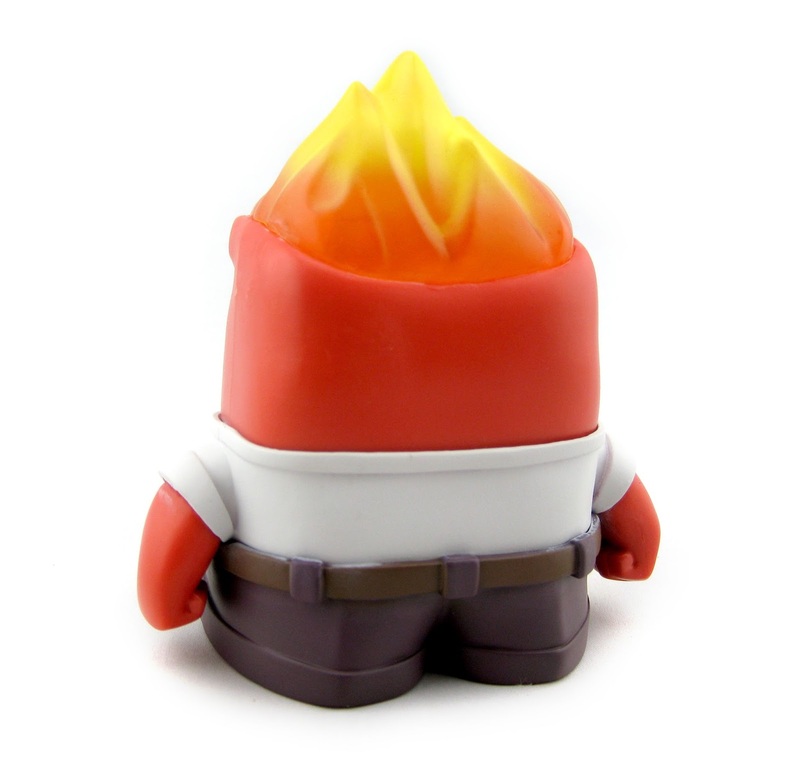 I love his expression here and the flames addition! The flames are quite cool, with the orange lower part being a bit translucent (it's hard to tell from the pictures, but look closely). 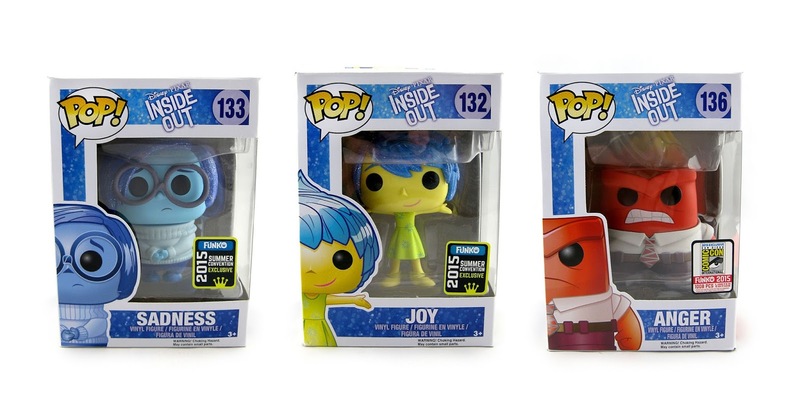 I'm so thrilled to have all of these as part of my collection now! 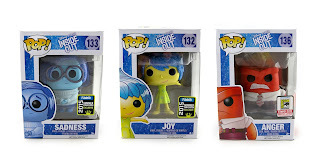 If you're looking to add any of these three to your Funko collection, visit this direct link to current eBay listings. Best of luck on the hunt and let me know if you have any questions or comments!